Contributor Dannuell created this beautiful drone video of Linz-Am Rhein, a town on the Rhine River in the western part of Germany. Located in the state of Rhineland-Palatinate, it's very close to Remagen, the site of a famous bridge capture in World War II. The city dates to the 9th century AD, although it was nearly destroyed by a fire in the 13th century. 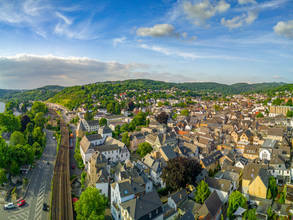 The town lies in the heart of the Middle Rhine, the portion of the river between Bingen (upstream of the town) and Bonn.